Compassion, Beauty in Life, Miracles, First Fruits, the Saints, Mother Mary, Grapes... On finding the beauty in life and maximizing Love in your life. Sermon recorded LIVE as delivered by Fr. 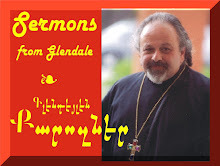 Vazken Movsesian at the St. Peter Armenian Church, Glendale, on the feast of Assumption of St. Mary & the Blessing of the Harvest (Grapeblessing). Sanctifying food beyond Kosher and connections to start of the Universe. Also - "Fruits of the Spirit" Award to Tamar (Papirian) Khatchadorian.